Perfume and fragrance advertisements for Revlon Intimate. 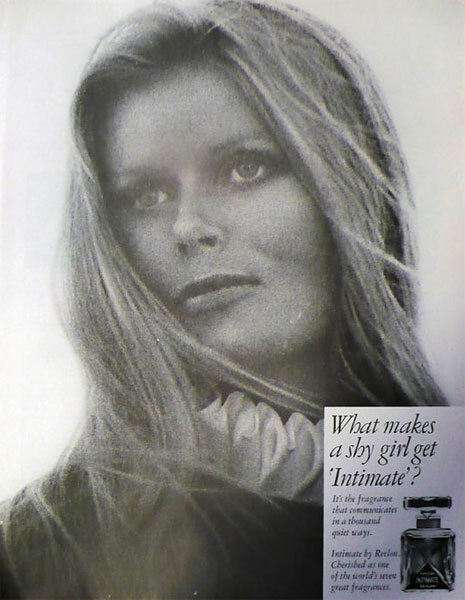 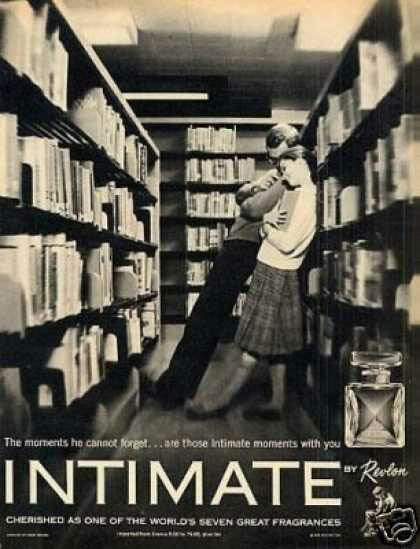 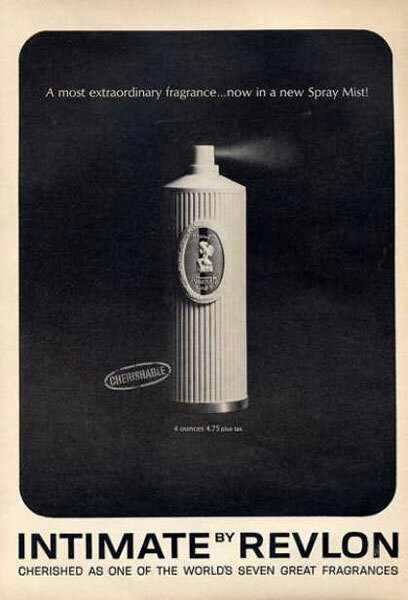 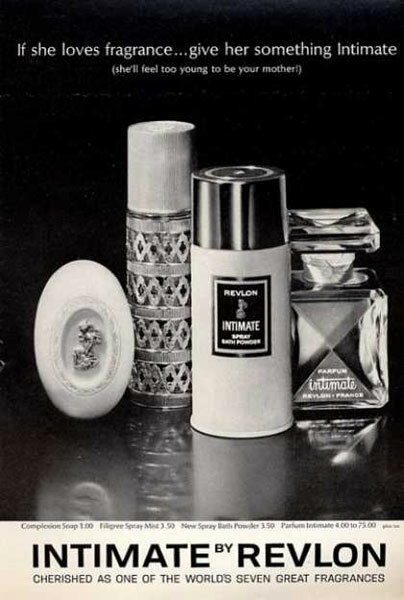 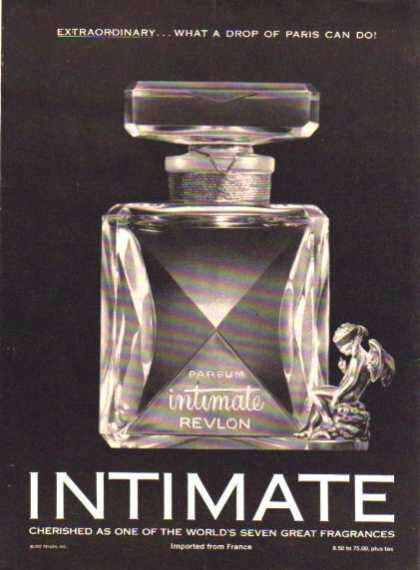 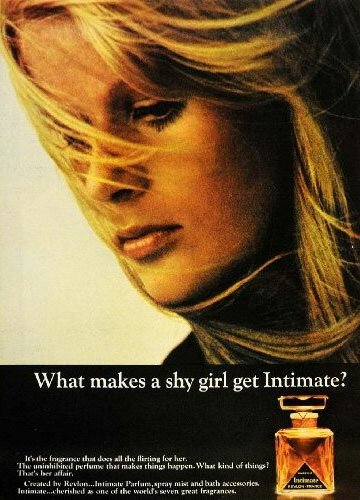 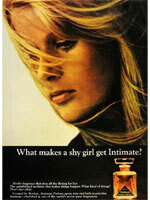 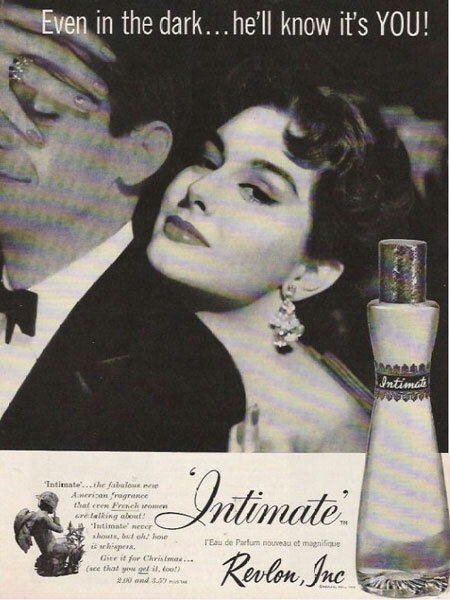 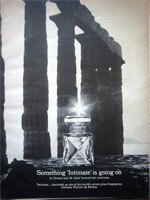 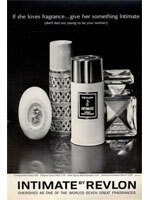 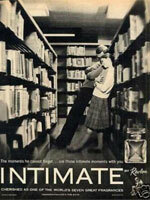 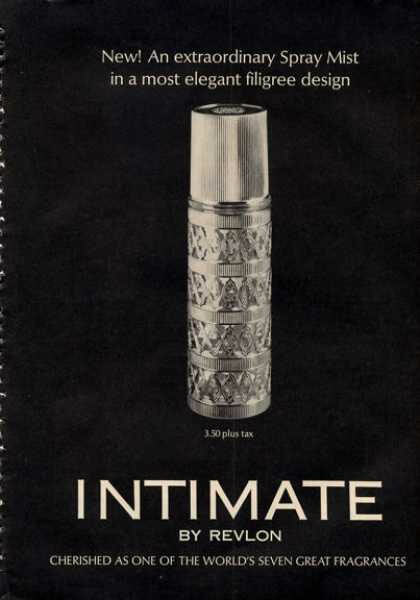 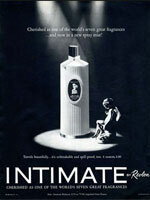 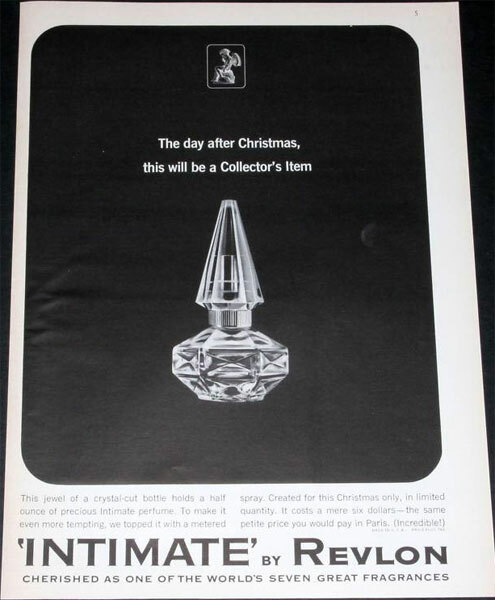 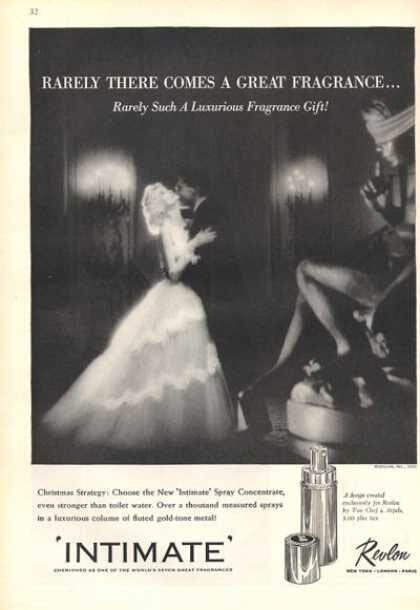 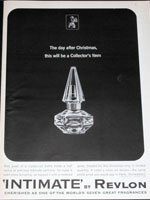 Intimate by Revlon - A floral chypre perfume was launched in 1955, created by IFF. 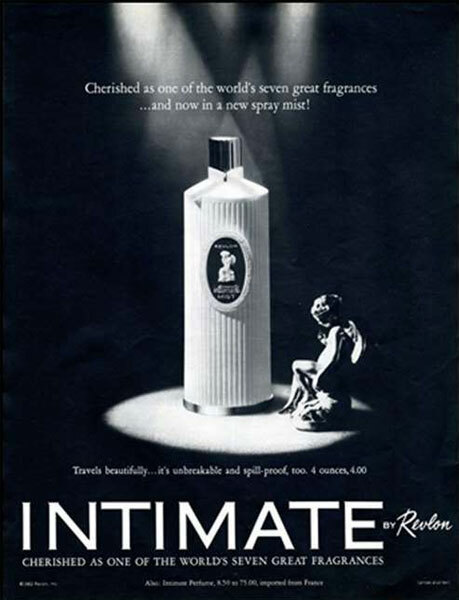 Notes include: (top) aldehydes, bergamot, rose, gardenia, coriander; (heart) jasmine, orris, patchouli, sandalwood, cedarwood; (base) amber, castoreum, civet, oakmoss, musk. 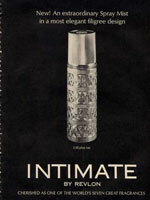 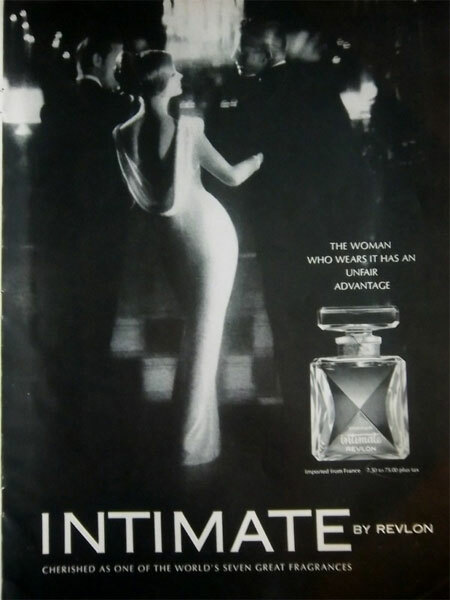 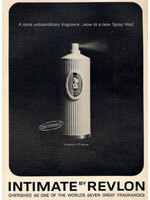 Perfume advertisements for Intimate by Revlon fragrance.